I’ve nearly finished doing my days up here so let’s talk about how to find regional work in Australia. I know that it’s not the easiest thing to do. I’ve seen Facebook statuses from people asking for contacts; if anyone knows anyone who knows anyone who might be able to help with those 88 days. Where, oh where, might we find some of that sweet, sweet farm work? When I began looking, I was fairly disillusioned with the services available, as you’ll well know, but it’s not so bad once you fully commit to the search. Now I can’t guarantee that anything I say below will secure your days or make you rich, it definitely won’t make you rich, but I can say that it should at the very least help point you in the right direction. I recommend that you begin by dropping in to a tourist information office and grabbing yourself a copy of the Harvest Trail guidebook. Good news; it’s free. This handy little book will tell you where in the country workers are required at what time of year. If you’re intending on spending the majority of your time travelling and seeing as much of the country as possible, I genuinely believe that it will be much easier for you to complete your required days without the added pressure of trying to get it all done right at the end of your allowed stay. 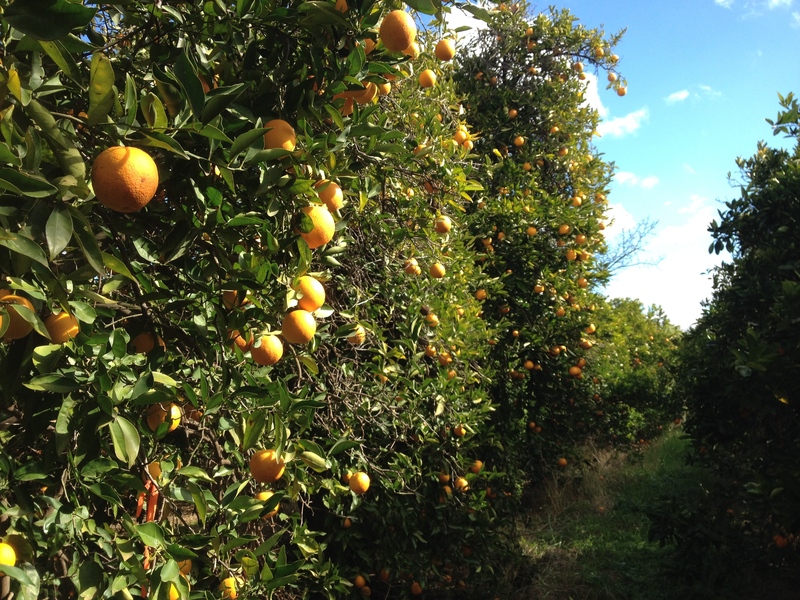 An obvious example is citrus in and around Mildura from June to September, less obvious examples are lychees in and around Byron Bay in February and March, or melons near Bundaberg from October through to December. All you need to do is be in the right place and the right time and there’s a high chance you can land a week’s work here and there. As long as you do one week a month, you’ll have your days done by the time you’re ready to leave. Having a copy of the guidebook is also useful if you end up doing things like me. You can see where and when work is likely to be available in the area you hope to be, or are currently, in. 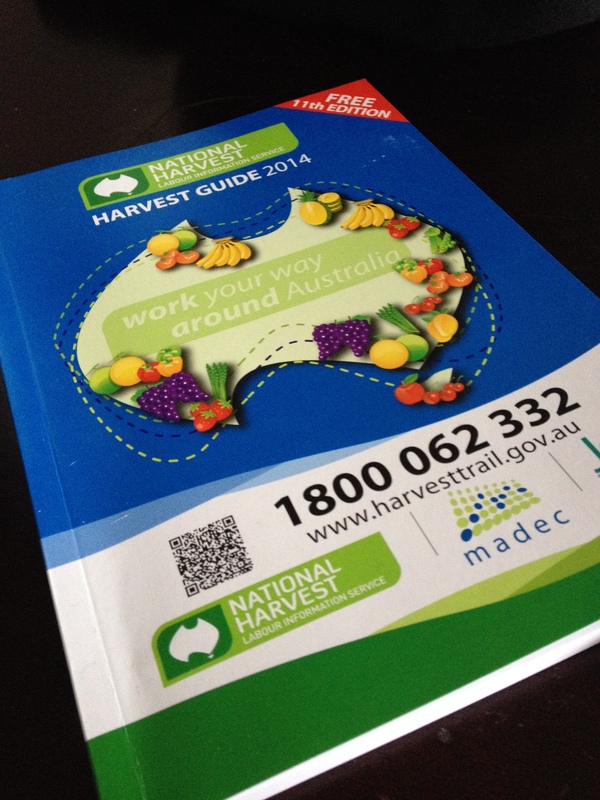 There is another supposedly useful feature of the Harvest guidebook; the Harvest Trail helpline. Apparently, if you call up and advise of your location and current situation the kind people on the end of the line will help you find work. The reality of this, in my experience, is that those kind people will find out where you are and your situation and tell you there’s no work nearby and to stay where you are and call back tomorrow. Super useful, wouldn’t you agree? That number, in case you’d like it, is 1800 062 332. Now, if all goes to plan you’re in the right place at the right time, what next? The option that most people will likely go down first is that of the working hostel. You’re here to party and have a good time and the hostels have no doubt helped you with that, so you’d think they might be able to help you out with a job as well. Before I begin you can definitely get work through the hostels but there are plenty of problems you may come up against before that happens. First is finding a room at one of the many hostels out there, once you find a place you’ll have to see for yourself if they tell you anything other than call back in a couple of weeks or they’ll add you to the waiting list and you’ll never hear from them again. 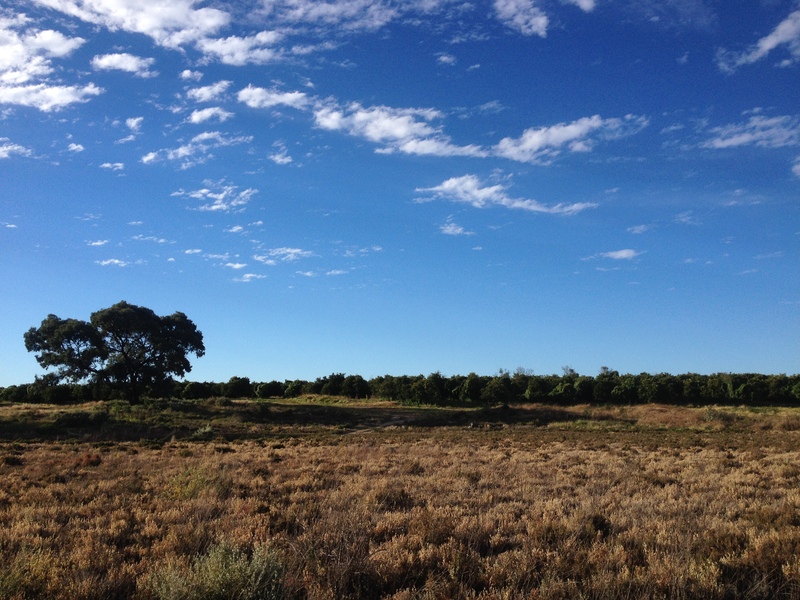 You might get a stroke of luck and get a room, like I did at Mildura Oasis Backpackers. Once you’re in though, there’s still no guarantee of work. It’s up to you then to hassle the staff to get you on tomorrow’s bus to a farm, or sit back and wait for someone to barge into your room at 7am and tell you to get your things together because you’re going to work today. Then there are the fees, you have to pay for your accommodation, transport to and from work, and any other costs the hostel can think up. I’ve been told that most hostels will tell you that it is required for you to work high-visibility tops and steel toe-capped boots to work on any farm, but don’t worry, they can provide these to you at an additional fee. I haven’t worn a high-vis jacket and I haven’t been asked to yet, so I’m gonna go ahead and say that this might be a little more discretional than the hostels make out. There are, of course, other options available. If you’ve got a car and you’re prepared to drive out across the orchards and farms and knock on every door asking for work, chances are you’ll find some and you might even be able to camp somewhere on site. I’ve met people who have successfully done this and the best part is you don’t have to pay weekly accommodation fees at a hostel. You can also volunteer and work for nothing to help out on farms; WWOOFing is very popular among backpackers in Australia and there are plenty of places that can sign off your days for the time that you stay there. I’d also advise talking to the people you meet, other backpackers, local friends who have relatives in regional areas, anyone you’ve encountered may be able to give you a golden ticket to completing your regional work so don’t hesitate to ask the questions. You’re looking at the most legitimate site out there; the Australian government’s best attempt to help you find regional work. Be aware that not all jobs listed are in qualifying postcode areas so be sure to double check before you commit to anything. You’ll find a handy list of working hostels in each Australian state through Workstay, they’re kind enough to even give you a telephone number for most of them so you can get straight on the phone and start trying to convince somebody that they’ll benefit from having you take that last empty bed, no matter how long it may take you to get there. Be careful with this one, there’s a good mix of genuine need and cash hungry scammers posting ads on Gumtree. Consider also the number of people that are looking for their regional work. 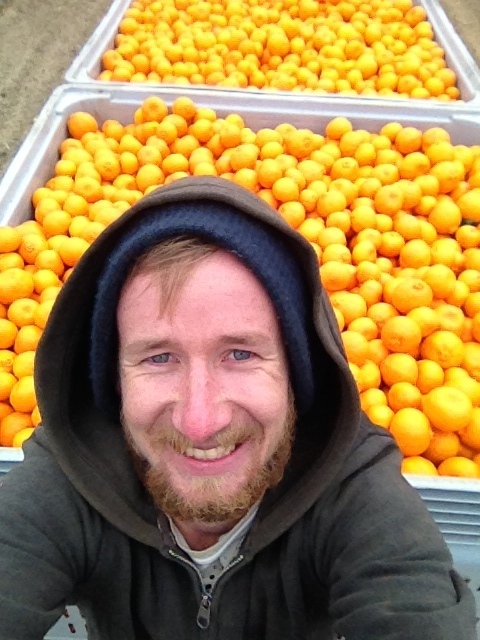 You know that one ad looking for orange pickers that went up at midday? There’s probably already been twenty to thirty people trying to get through to that guy. Don’t give up if you don’t get through straight away, that man still has a job himself! If money is no object then you might find it easier to exchange your hard work for food and accommodation. WWOOFing is the primary way to do this, you do have to become a member and there is a fee involved but that will give you access to over 2500 potential hosts all across Australia. Again, make sure that the work you’re doing will qualify for your 88 days and that the farm comes under an acceptable postcode. HelpX is very similar to WWOOFing but it goes beyond organic farms, you can find hostels and even sailing boats on the look out for volunteers to come work in exchange for bed and board. There’s a free and a premier paid service Ask plenty of questions of your potential host and make sure you know what will be required of you before you rock up to the front door. If nothing else I hope the above help you to get started with your search. Who knows where it may lead you, perhaps you will find luck on your side as I did or maybe you’ll walk straight into an hourly paying job driving tractors in sunny Queensland. All I can do from here is wish you the best in your search!